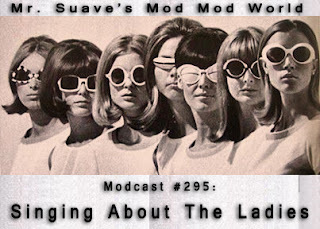 It's all about the ladies this week in the mod world. I mean, it's always all about the ladies in my world, except when it's all about the cocktails. I was about half way through putting the show together when I realized all the songs had one thing in common. They all had a woman's name in the title. So, I figured what the hell it's as good a theme as any and I rounded out the set list with more songs about girls. 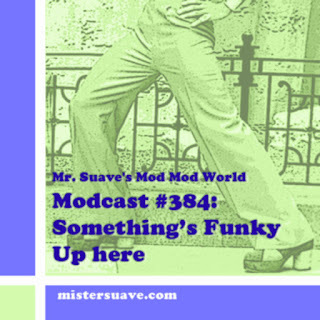 Pretty good mix too, if I do say so myself. - Everyday Things: "Colleen, Colleen"
- DC Fontana: "Wynona Ryder"
- Galileo 7: "Ella" + "Anne Hedonia"
- Len Price 3: "Julia Jones"
- Makin' Time: "Sent a Letter to Mary"
- Men of North Country: "Pandora"
- Mod Fun: "Mary Goes Round"
- Ramones: "Sheena Is a Punk Rocker"
- Who: "Pictures of Lily"+ "Mary Ann with the Shaky Hand"
Great idea for clinically obsessive compilers. Good list, several of these were under consideration for the show.